Create café quality brunch recipes at home and enjoy a lazy weekend with this easy brunch recipe collection. Favourite Australian brunch recipes included poached eggs with smashed avocado, corn and zucchini fritters, and easy and quick omelettes on toast. Whether you're hosting a lunch or just lunch recipes for work or the kids lunchbox, you'll find a great collection of tasty and healthy lunch options from sandwiches to healthy soups and salads. This dinner recipe collection has everything you need to inspire your weekly meal plan, but also plan for dinner party entertaining on the weekends. 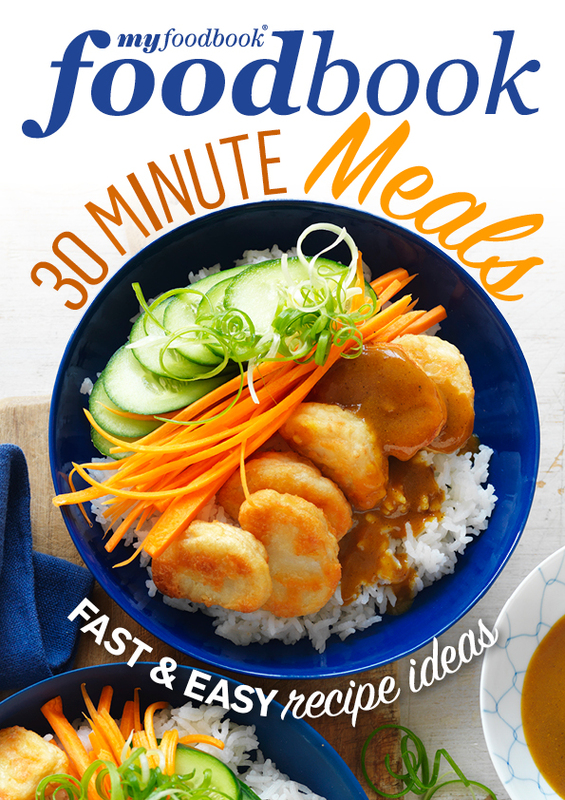 From easy under 30 minute dinner recipes to pasta recipes, easy stir-fry recipes, roast recipes and more. Feel like a mid morning pick me up or afternoon tea? From sweet and savoury muffins, biscuits and slices to healthy muesli bars, our quick and easy snack recipes will keep you going. Inspirational appetiser recipes for your party menu with popular ideas including homemade dips, easy slider recipes, sausage roll recipes and easy canape recipe ideas that are great for party entertaining. Easy side dish recipes for dinners to make a perfect accompaniment for the main meal. From zesty fresh greens to creamy polenta and gourmet potatoes, there's something for every table. Try these quick, easy and delicious noodle recipes the whole family will love! Includes warming Japanese udon noodle soups, fresh Pad Thai, noodle salads and steamy Chinese wonton soup. Find the best pasta recipes for the season with hundreds of easy pasta ideas. This collection of easy pasta recipes includes winter warming pasta bakes, seafood pasta recipes, vegetarian ideas, kid friendly pasta dinners, gluten free pasta recipes and more. Your new best sausage recipes are here ready for Australia Day BBQs, picnics and more. Easy beef sausage recipes, pork and chicken sausages. Easy turkey recipes that you can make any time of the year including healthy turkey mince recipes, easy turkey for Christmas and what to cook with turkey breast. Choose from a selection of roast duck recipes Australia and learn how to cook crispy skin duck at home. If you love lamb, you're going to be very excited about this collection of the best lamb recipes. Make simple lamb dinner ideas for weeknights and BBQ. Easy beef recipes to cook everyday. Learn how to cook beef cuts and beef mince with this collection of the best beef recipes. Everyday and special occassion meat dish recipes from BBQ inspiration to slow cooked stews. New recipe ideas for mince meat, roast beef and lamb, curries and stir-frys using beef, pork and lamb. Beautiful and fresh seafood recipes for all seasons. From prawns and oysters in summer to fish curry and calamari in the cooler months. Seafood is healthy and easy to cook, not to mention a dinner party favourite. Stir fry recipes that make dinner time easy. Fresh stir fry recipes are great for mid-week cooking. This collection includes beef and chicken stir fry recipes as well as vegetarian stir fry ideas. Must have recipes for all your favourite sauces and condiments, with handy tips and hints. From flavoured butters to liqueurs, jams, dips, pesto and hollandaise. Match the perfect sauce with your vegetables, fish, chicken or meat. Healthy and gourmet vegetarian recipes packed with flavour. From quick and easy pastas to fresh salads, stir-frys, tarts and more! Cooking without meat has never been so easy. All your favourite baking recipes, from sweet cakes and muffins to savoury scones and breads. Try these simple recipes for no-fuss baking, whether you need a treat for afternoon tea or a party show stopper.